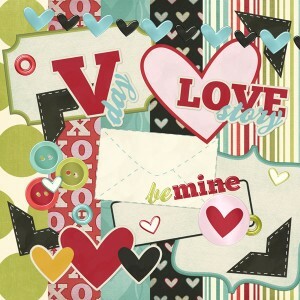 Our Love Story Digital Scrapbooking Kit is perfect for your Valentine’s scrapbook or cards. It comes with 5 patterned papers and over 20 embellishments. There are stickers, page titles, eyelets, buttons, tags and more!! This kit is available to our premium club members only. Upgrade to download.